Malipayon gid nga pagbisita sa University Church! The University Church sanctuary with recipients of the UC's Pamaskua last December, 2010. Welcome to the CPU - University Church Website! 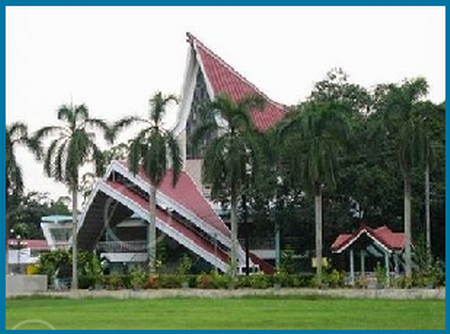 Welcome to your home church here at the beautiful campus of Central Philippine University, Jaro, Iloilo City. The University Church, located at the far end of the CPU football grounds, is more than just a centerpiece landmark of Central Philippine University, but serves as a spiritual home to its students, faculty, staff and the CPU community. 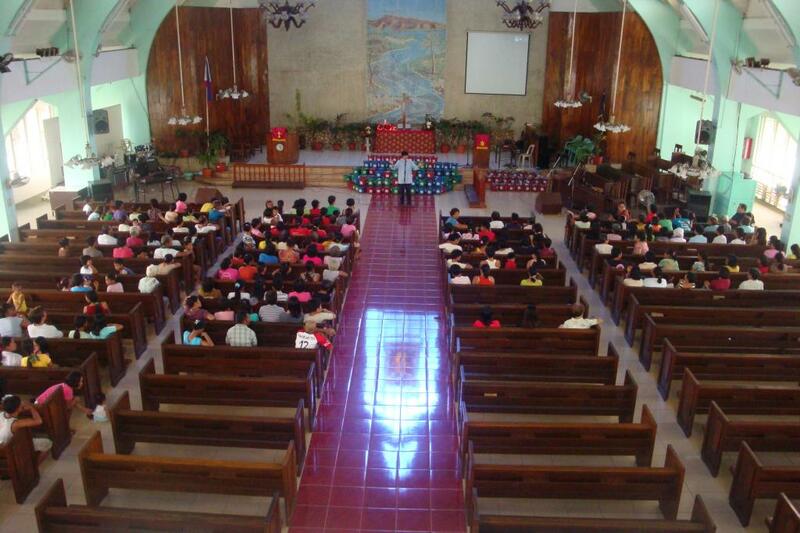 Residents from the neighboring barangays also attend church regularly at this University every Sunday. The church is everybody's home church at Central. The University Church has three services every Sunday - the early morning service which starts at 7:00 AM; the mid-morning service at 9:30 AM and the Vesper Service, mostly attended by students which starts at 5:30 PM. Every Sunday, the church welcomes about 700 worshipers for its three worship services. Every Sunday, the church also welcomes hundreds of children and kids in its KidZone Ministry, a dynamic Sunday-school for children of all ages. The church was first established in 1913 at this campus by its founders - the American missionaries who founded the then Jaro Industrial School in 1905. Later, the school was known as Central Philippine College and later as Central Philippine University today. The University Church family now looks forward to celebrate the church's Centennial anniversary in 2013. University Church is now on Facebook. Like it. Now! Welcome to this website - your link with the CPU University Church family wherever you may be in the world. We pray that through this link you will get a timely update of what's new and what's happening at the University Church. Then, you will have more reasons to thank God and be a part of the growing ministry of this Church. To the UC members here and abroad, feel free to communicate with us and share your stories and feedback. We really look forward to and appreciate your partnership in God's ministry here at Central.